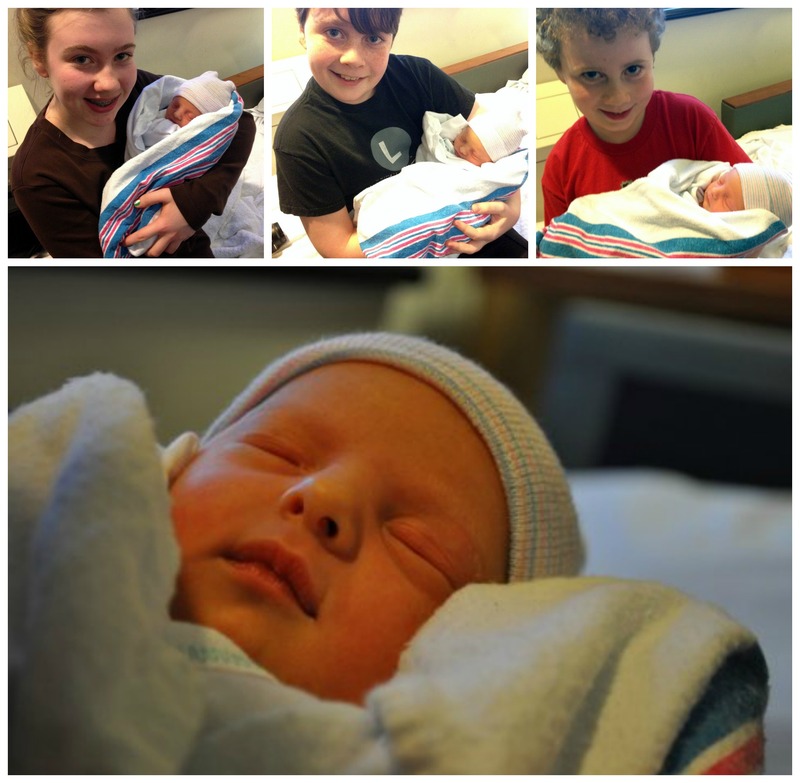 First, meet our new niece, Greyson Molly Morgan. 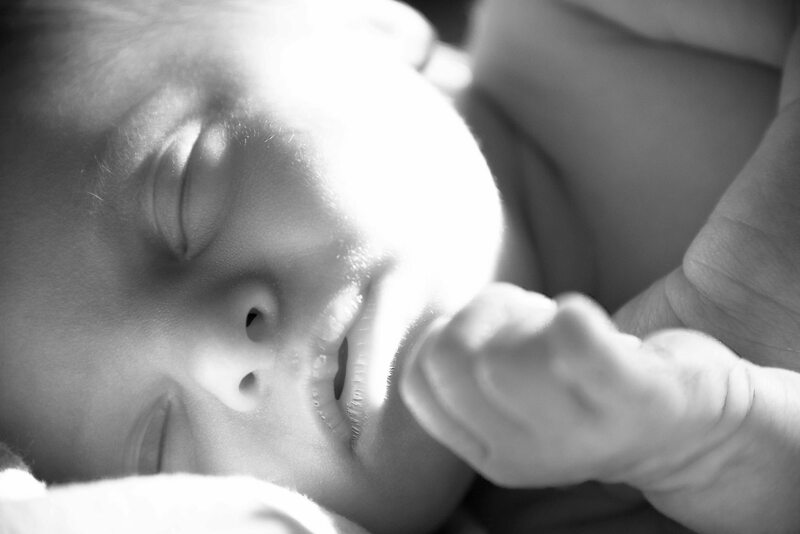 She is absolutely perfect and we are all madly in love!! 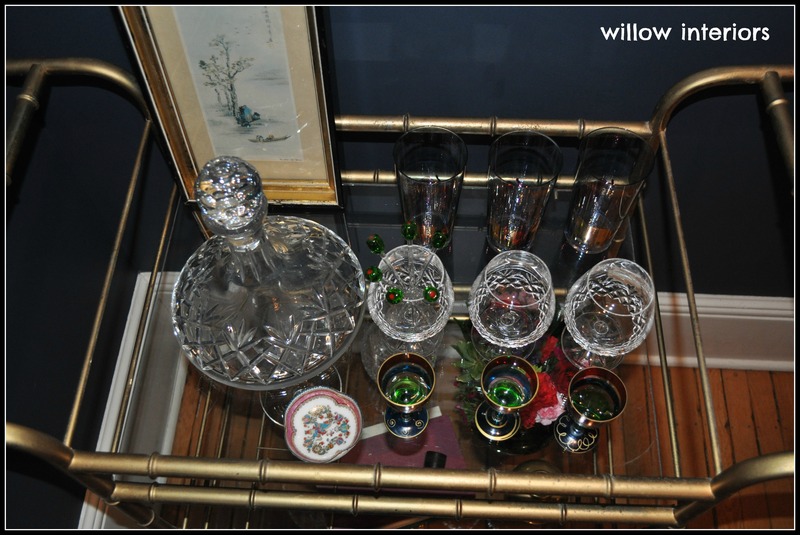 So not only did I have an amazing weekend with my family at my cousin’s wedding, I also scored…get ready…drumroll…a bar cart!!!! I have been pining away for one for some time now. Hence, I lamented over this one months ago, HERE and profess my love for them with my collection of them HERE. So while chatting with my uncle’s girlfriend after the wedding at the hotel bar (Irish weddings go to the wee hours), she was telling me about an estate sale she was finishing up the next day. (That’s what she does for a living! I know right!!? 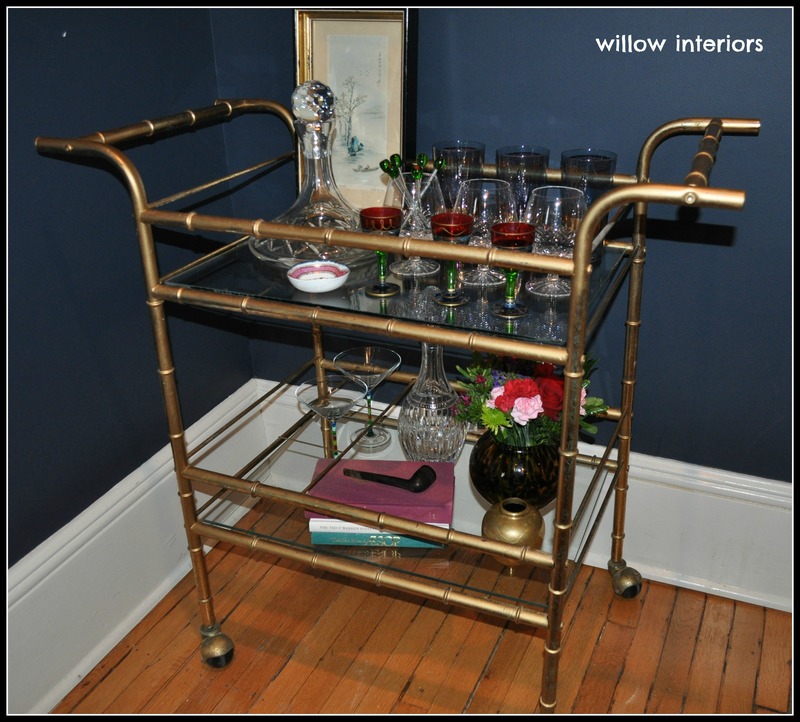 Love her already, but now… 🙂 ) So the heavens parted and light shone down on her face when she said that there was a brass bamboo bar cart that hadn’t sold yet! I thought for sure I was hearing things (since I may have had a couple at that point). The next morning (okay, afternoon) we chatted and I am proud to say that I have a new little baby myself. Thank you, Debbie! I haven’t named her, but here are some pictures. I washed her down and dressed her all pretty. 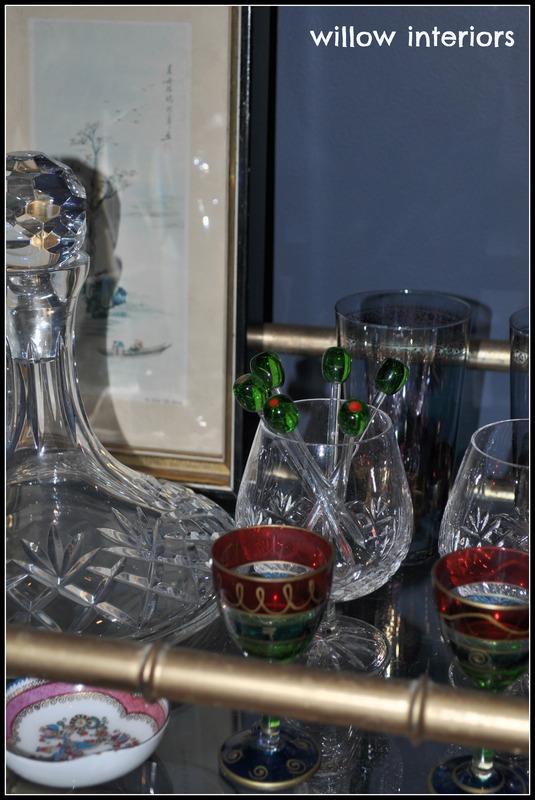 I kept it alcohol-free, because while I have wanted a bar cart for awhile now, I’m not sure I want booze readily available in my dining room (I don’t have babies…I’ve got tweens!). I could also set her up as a tea cart down the road. 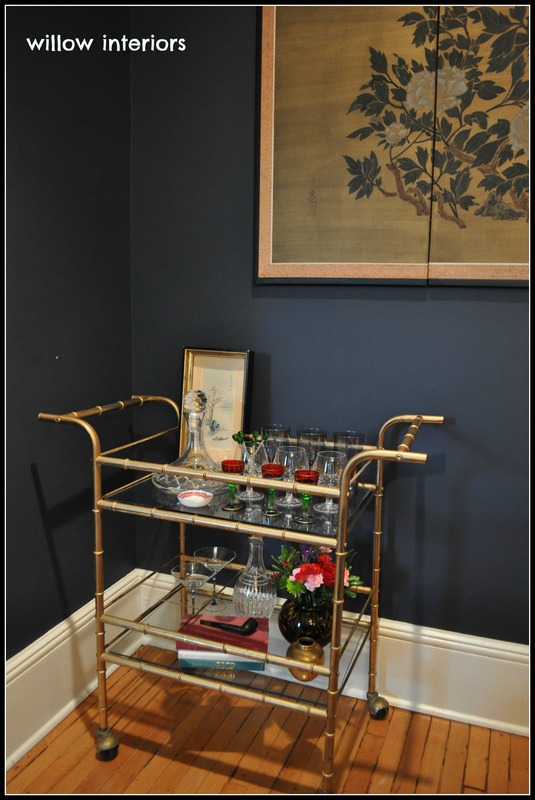 See how well she goes with my consignment find Asian screen and bamboo brass Jonathan Adler Meurice Chandelier! Okay, we’ve got a busy week over here. 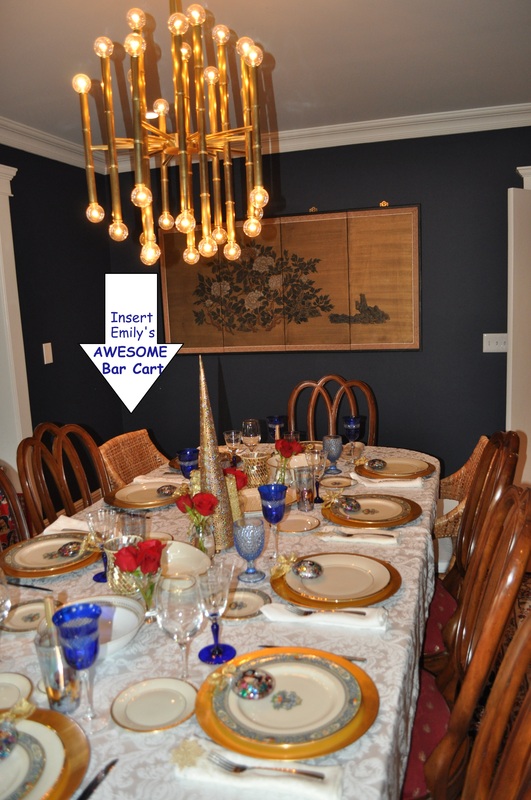 Be sure to check out all of the amazing One Room Challenge participants tomorrow when they start their 6-week room redesign. You can find the list over at Calling It Home. And head back here on Thursday, when I will link up with so many others as they participate as well. I may have hinted over on Instagram what room I will be doing over here. 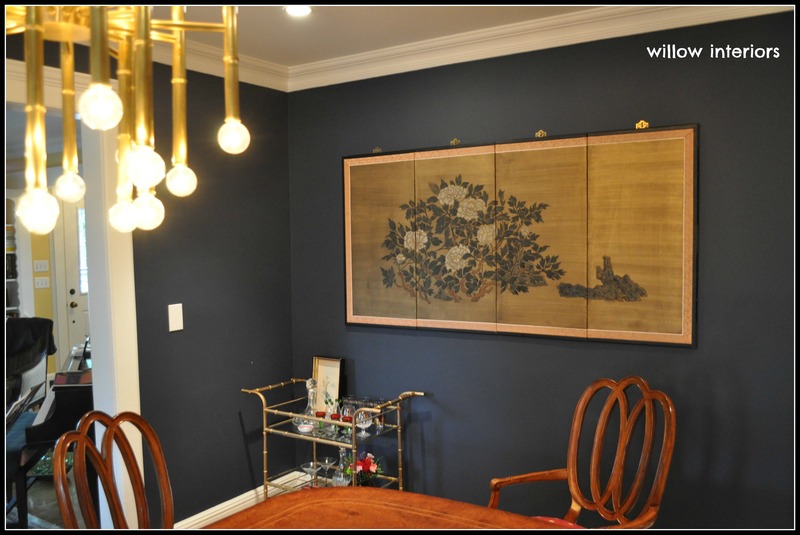 And if you didn’t see the room I did in the fall, check out Kevin’s bedroom transformation, HERE. 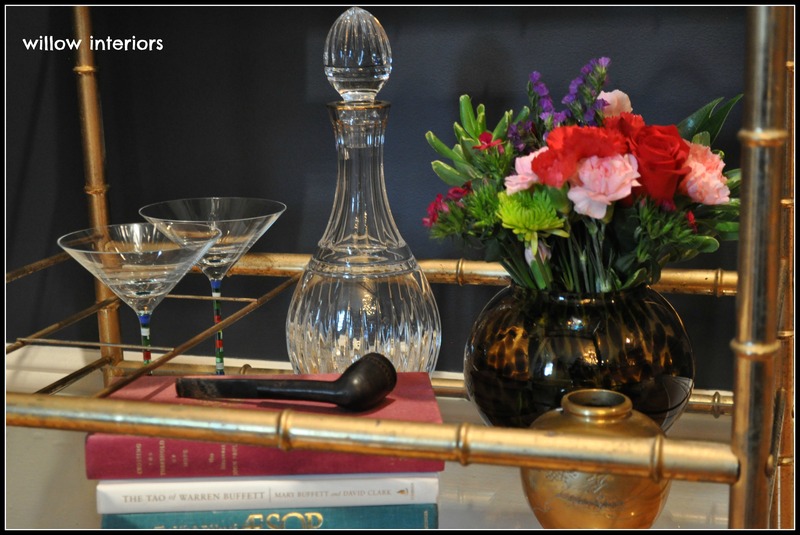 The Bar Cart that Got Away!